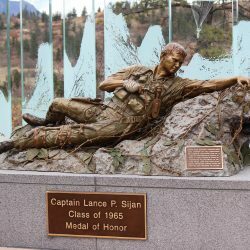 “The Lance Sijan Memorial was a gift from the USAF Academy graduating class of 1965 to the Academy intended to honor their classmate Lance Sijan who is the only AF Academy graduate to receive the Medal of Honor. Lance was awarded the Medal of Honor posthumously by President Gerald Ford for his heroic actions during the Vietnam war and is revered by the cadets and graduates of the AF Academy. 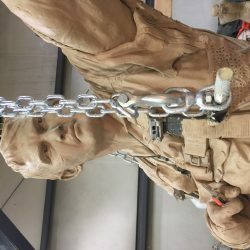 The bronze Sijan sculpture by James Nance is part of a larger project and comprises the ‘North Wall” of the new “Plaza of Heroes”. 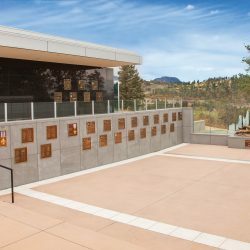 The Wall sponsored by class of 1965 is composed of the Sijan bronze and a series of monumental etched glass panels which contain art work, the Code of Conduct, and the Sijan Medal of Honor Citation in gold letters. 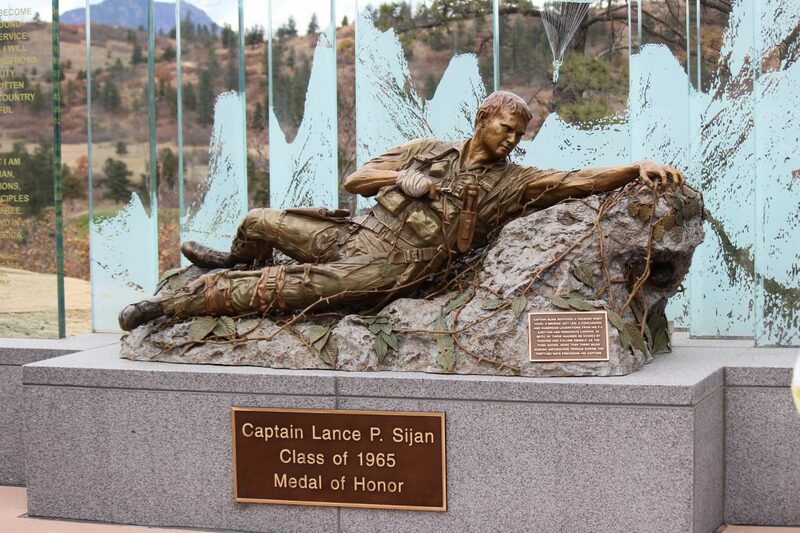 Lance Sijan , recipient of the Medal of Honor, graduated from the USAF Academy in 1965. Trained as an F-4 pilot, his aircraft was downed behind enemy lines in Laos in 1967. 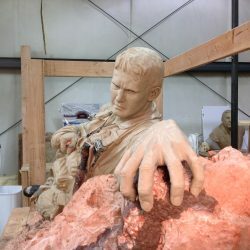 During the ejection and landing in dense trees on top of a mesa, Lance sustained serious injuries which included a compound, green tree fracture of his left Tibia, a mangled right hand, a massive gash along his right arm, and a severe concussion.The rescue operation lasted several days with numerous other aircraft being downed by intense enemy fire in a mountainous junction of the Ho Chi Minh trail where thousands of North Vietnamese regular troops were present. 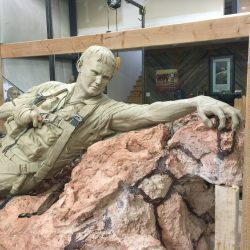 After several days of effort, crawling to within 20 feet from a rescue line, Lance selflessly waived away the rescue helicopter due to heavy ground fire. For the next 46 days, despite his injuries, no food or water, Lance managed to evade the enemy who were frantically searching for him. He managed to move an inch at a time by crawling on his back along the sharp Karst rock and impenetrable jungle thorns and vines by cutting vines with his parachute knife one at a time. Eventually after dropping in weight from 250 pounds to 90, Lance passed out trying to crawl across a road and was captured. His appearance scared the Vietnamese who called him a bloody skeleton covered in buckles and rags. 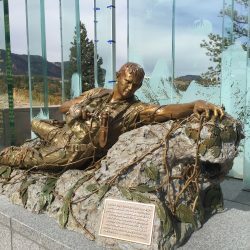 Lance was taken unconscious to a grass hut in the mountains and left with a guard. As soon as he awoke, he overpowered the guard, took his rifle and crawled back into the jungle. Eventually Lance was captured again and was transferred to the Hanoi POW prison and tortured for days, giving only his name rank and serial number. After a couple of weeks, he succumbed to his injuries and brutal treatment and died. After the war returning POWS told his story and explained how Lance’s ordeal and courage gave them strength to endure captivity. 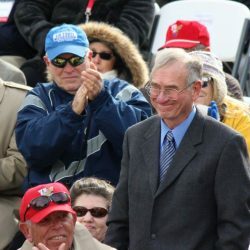 Lance was awarded the Medal of Honor posthumously by President Ford. His unflinching courage and adherence to the “code of conduct” inspires us to this day. 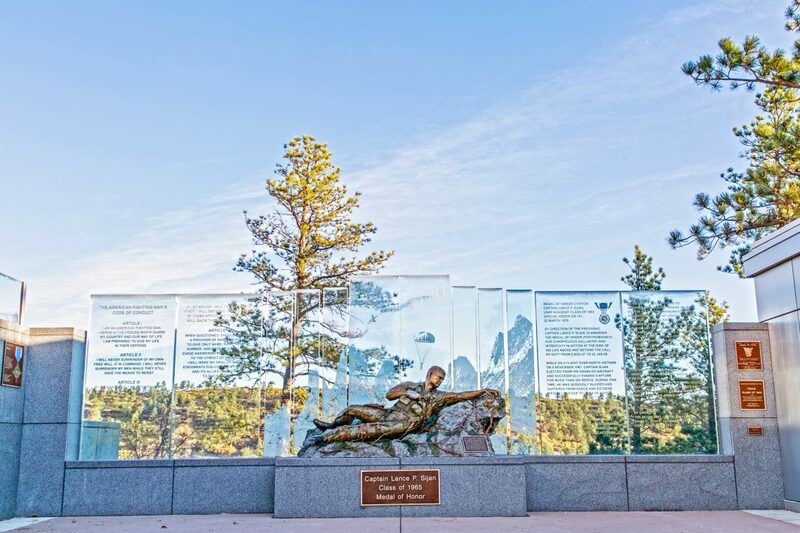 In 2015 The USAF Academy class of 1965 under the leadership of General Howell Estes, decided to honor Lance’s heroism by creating a powerful monument at the Vietnam Pavilion. The plan was to create a “North Wall” project which would be located on the North end of a new Plaza of Heroes to be constructed at the Vietnam Pavilion. 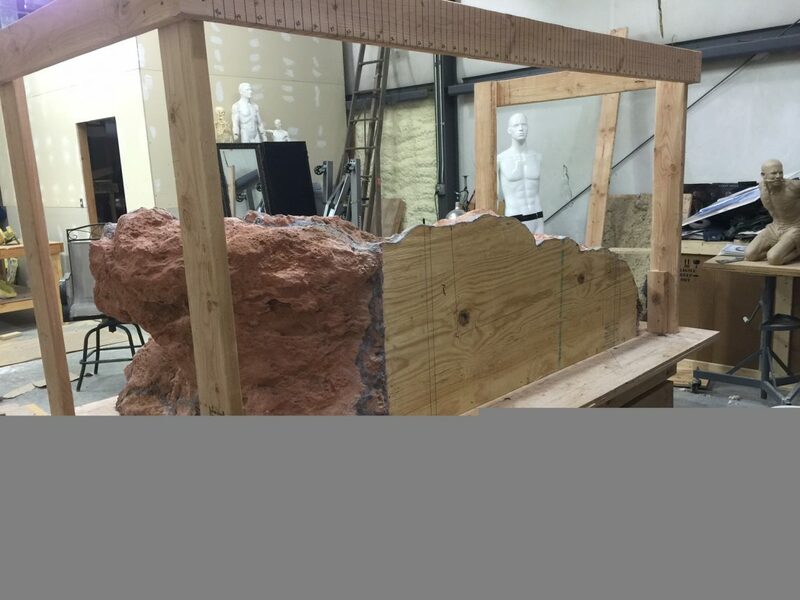 The North Wall would consist of 3 components: First a 40 foot wide granite wall 28 inches tall. 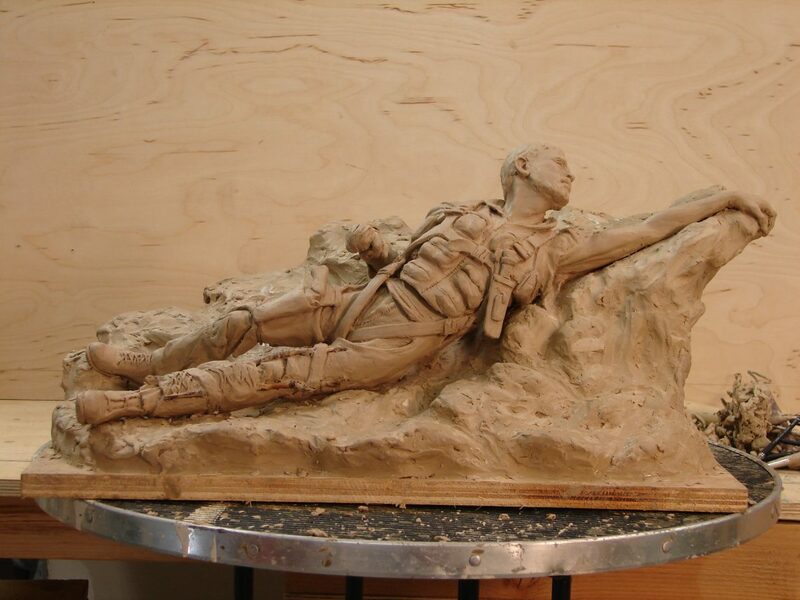 Secondly, on top of the wall in the center would be a bronze sculpture of Lance depicting him during his ordeal. 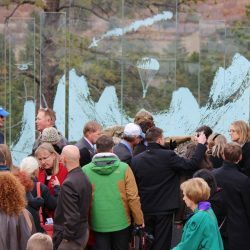 Finally behind the wall would be a series of monolithic glass panels 9 feet tall which depicted in etchings the terrain, his ejection and rescue attempt. 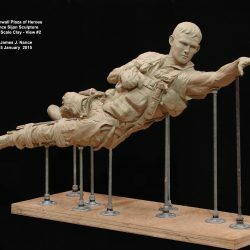 It was decided to depict Lance at the beginning of his ordeal while still strong in body to illustrate the strength of his courage. 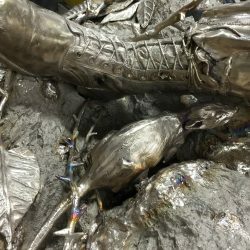 The class members donated the necessary funds and commissioned sculptor and 1971 grad, James Nance, to create the bronze sculpture as well as the glass panels. Jim spent the next year working diligently on the project. For the glass wall, Jim designed the panels and art work and subcontracted the fabrication to Accurate Glass company in Portland Ore, which he oversaw with frequent trips. 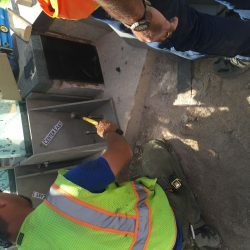 The panels had to be engineered to withstand 100+ mph winds which occasionally occur at the Academy, so they were hand poured and made with laminated glass to be 3 inches thick. 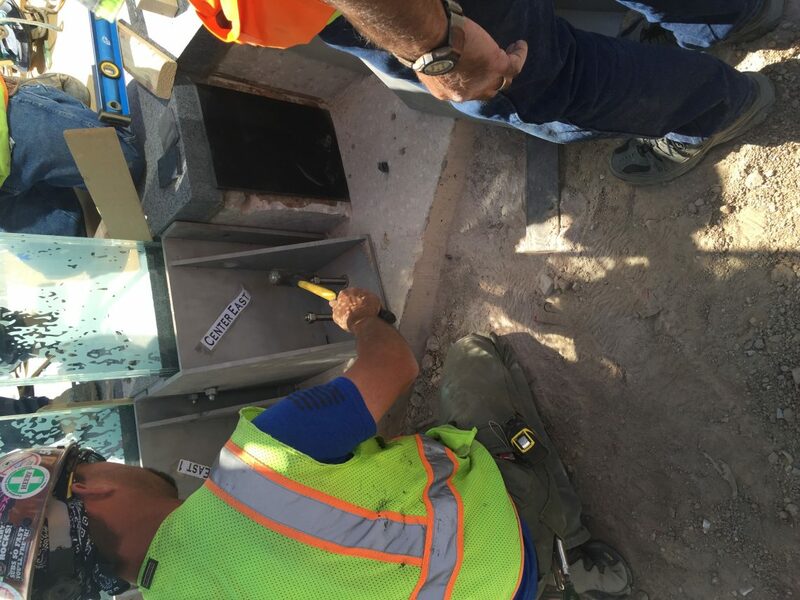 The mounting brackets which weighed 1,200 pounds were engineered and fabricated from stainless steel to hold the panels in a upright cantilevered position. 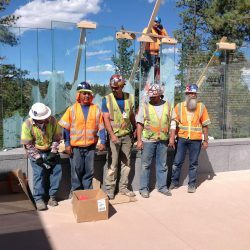 The glass fabrication took 6 months and the installation required hiring a glass specialty company from out of town with a 60 ton crane to gently move the panels into place. 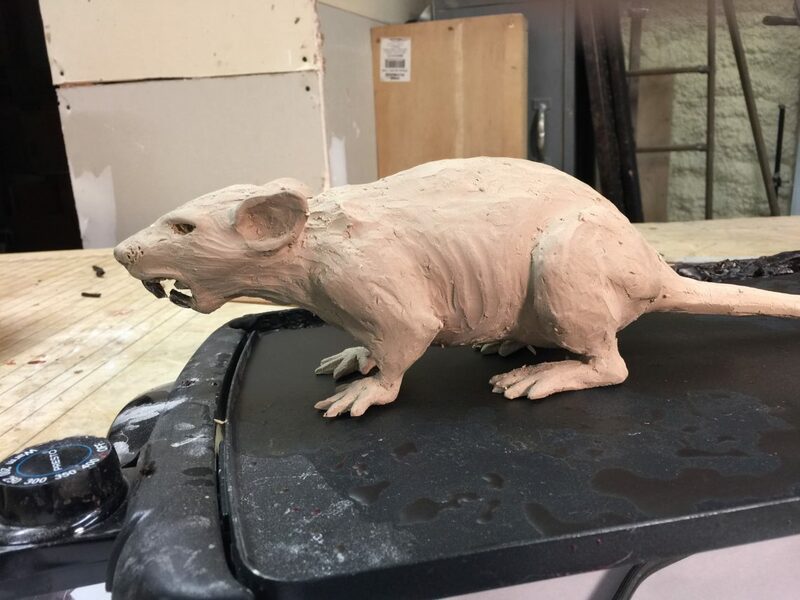 The first step Jim took was to create some drawings and then a 18 inch tall maquette in clay to visualize the pose. 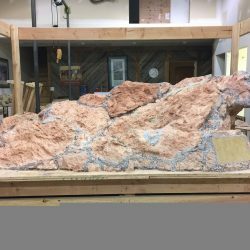 Once he had approval from the class committee, Jim created a 40 inch tall maquette with as much detail as possible. 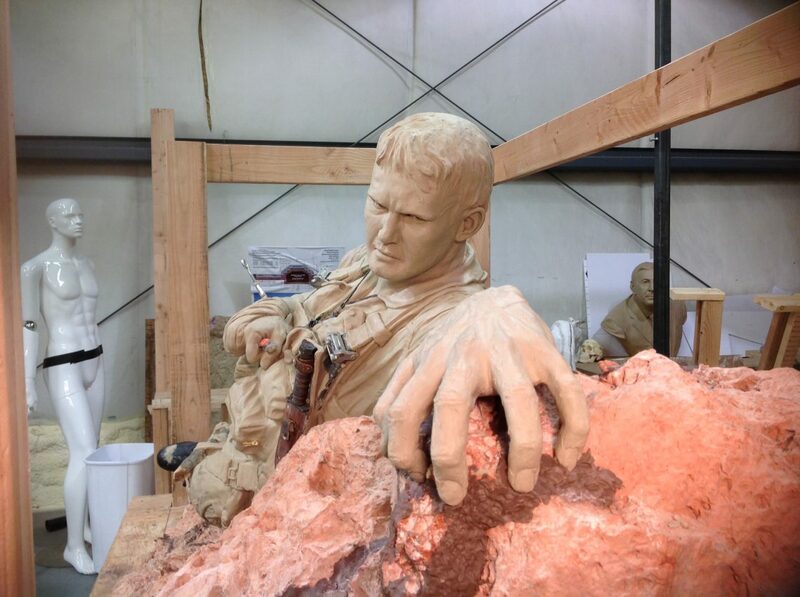 The final step was to enlarge the statue by hand and eye to a 7 foot size. Refinements were made every step of the way. 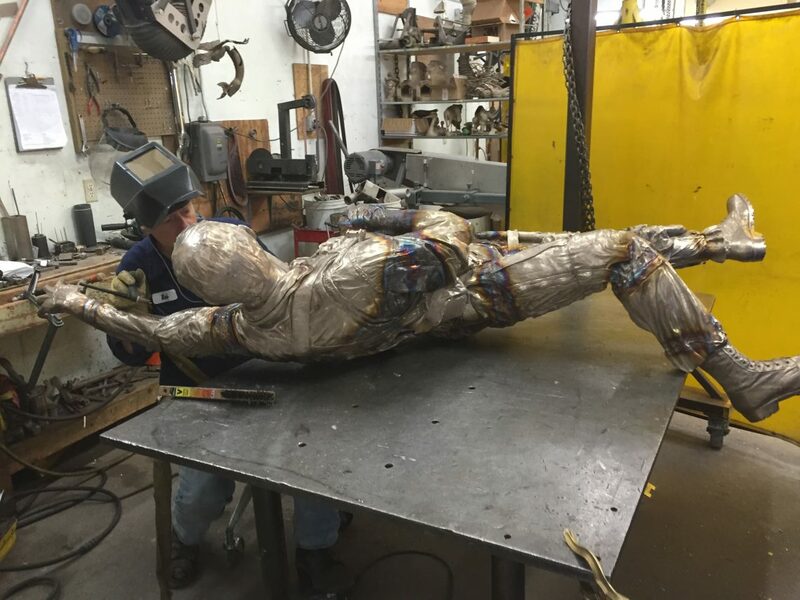 Once the clay statue was complete it was disassembled and molded before transfer to the bronze foundry for casting. 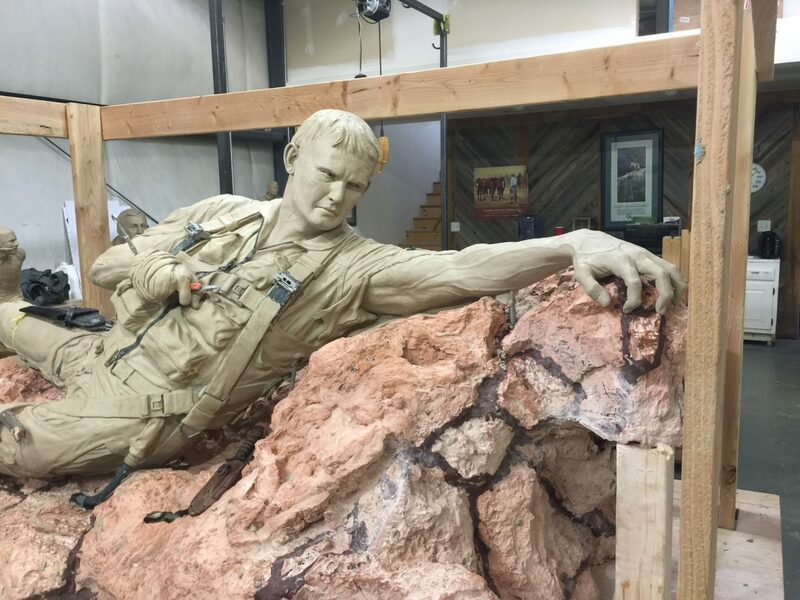 One unique aspect of the project was to accurately depict the Karst rock over which Lance crawled. 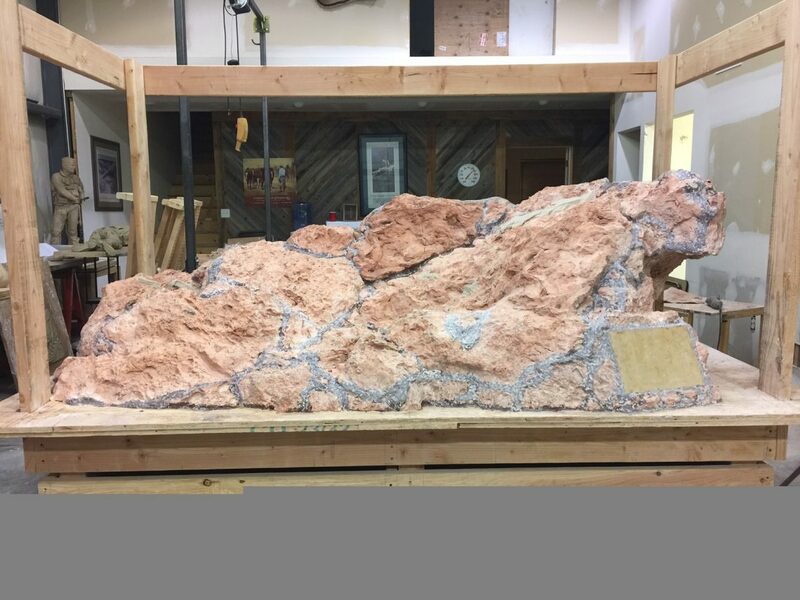 To accomplish this Jim organized an expedition to the Devils Backbone area where 600 million year old Karst rock is visible above ground. His team member included mold makers, geologists, and park rangers. 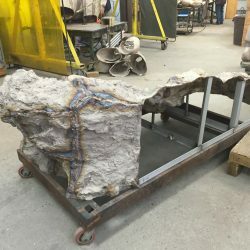 After locating several well shaped large boulders they made large rubber and plaster molds.Back in the studio, the molds were used to cast plaster castings of the rock. 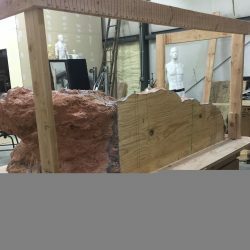 Jim then cut apart certain sections and re-glued them together to create the shape he desired for the composition. 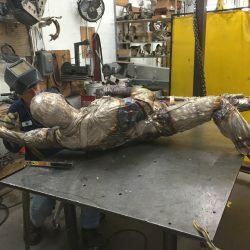 The rough statue was already suspended in air above the work table and the plaster rock parts were assembled below the figure to match the pose. 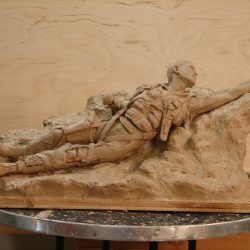 The finish sculpting of the figure took place on the plaster rock. 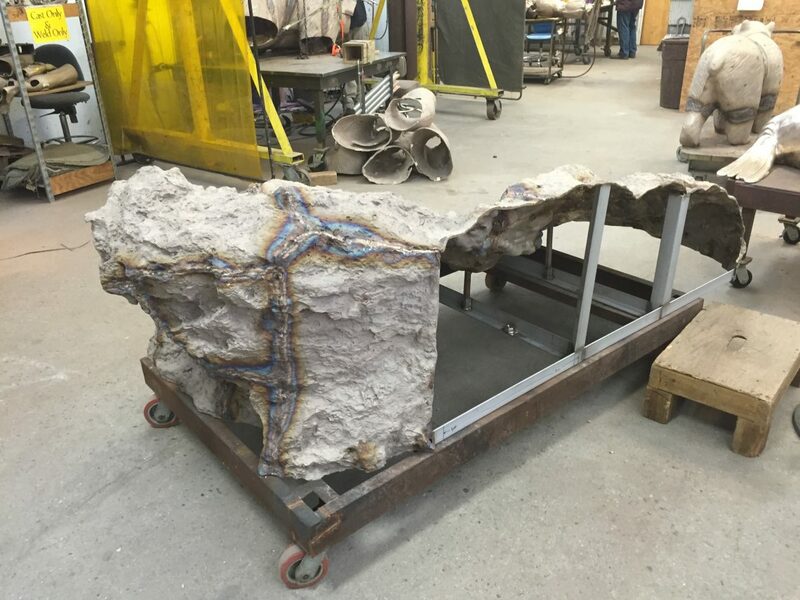 Once the clay figure was complete it was removed from the plaster rock and both figure and rock were molded for the bronze castings. 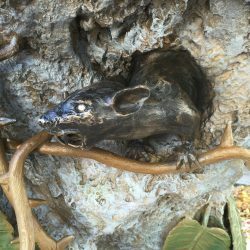 Jim also sculpted vines with thorns and leaves which were molded and cast in bronze. 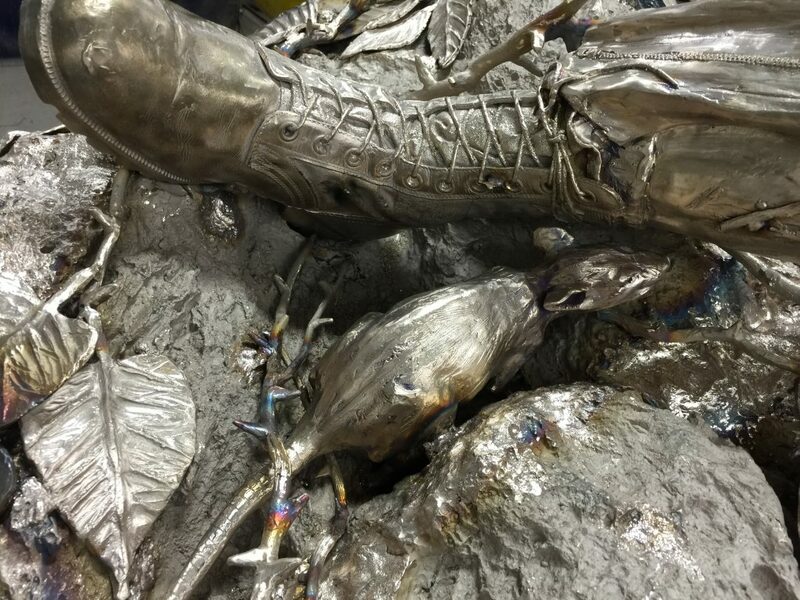 Once all the components were cast they were welded together and the vines and leaves added to illustrate the impenetrable jungle. 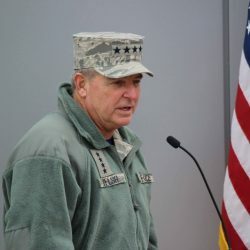 To ensure accuracy, Jim worked closely with the USAF Forensics lab whose director had expensive knowledge of Vietnam era flight gear and clothing. To protect himself from the sharp rock and thorns, Lance retained and wore all of his flight gear, so accuracy was important. 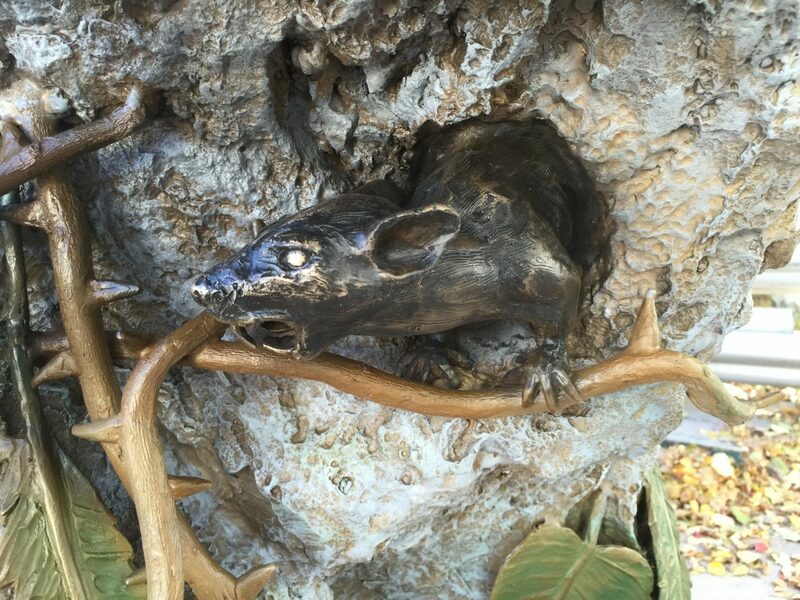 During Lance’s ordeal he was stalked constantly by huge rats who would charge in and bite every time he fell asleep. 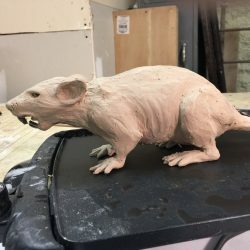 To illustrate this terror, Jim sculpted 3 angry looking rats with teeth bared and placed them in areas around the composition. The three rats represent the three challenges Lance had to overcome: Physical injury, Jungle, and the enemy. 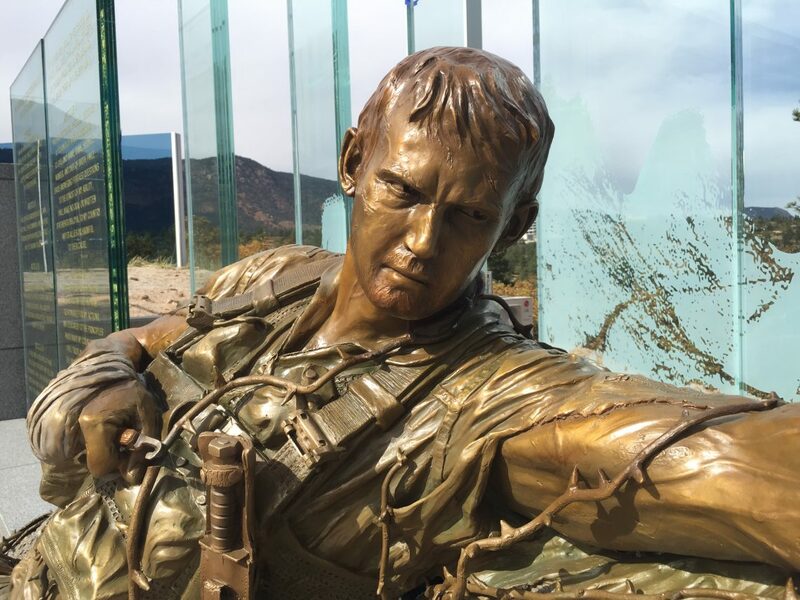 The Plaza of heroes also honors the Academy graduates who earned the send and third highest combat awards, the Air Force Cross and the Silver Star. 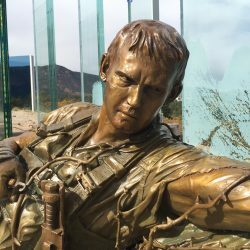 Sixteen gradates earned the Air Force Cross in Vietnam and each is honored with an individual bronze plaque. The 200 graduates who earned the Silver star are listed by name on four bronze plaques. 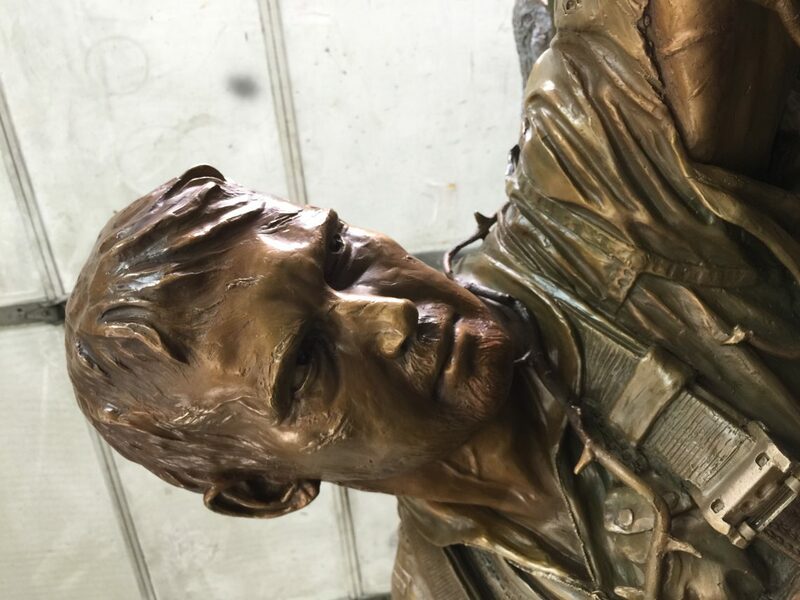 The six highest combat valor medals are also explained with a bronze plaque for each medal. 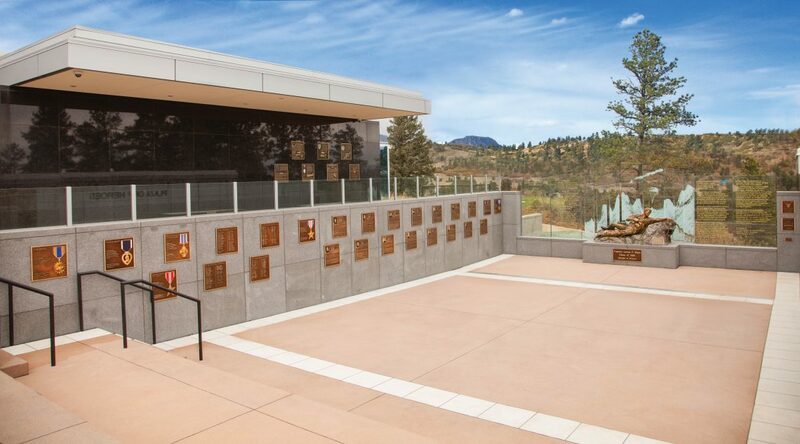 These 26 plaques were commissioned to James Nance who designed and cast the bronze. The plaques can be viewed here. 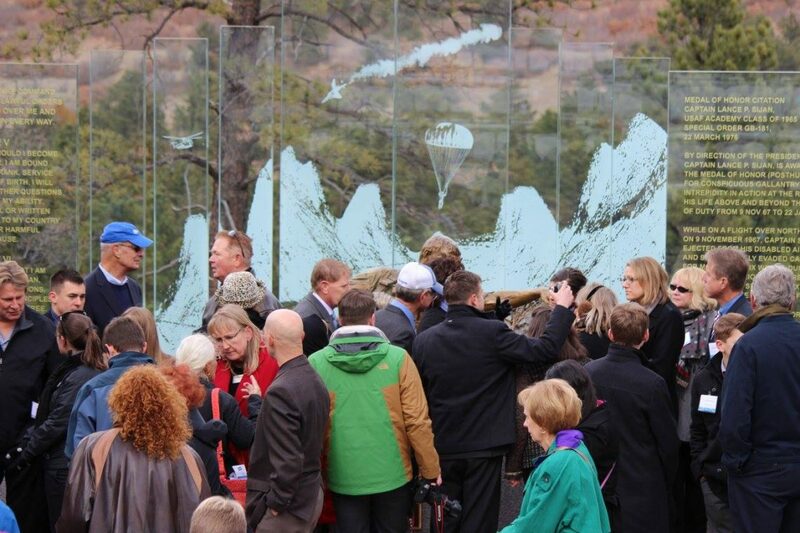 The emotional dedication ceremony occurred on a cold day 6 November 2015 during the class of 65’s 50th reunion. 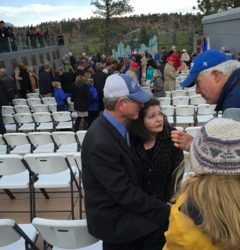 It was attended by Lances classmates, hundreds of other grads, every 4 star General in the AF, and Lance’s sister and family. 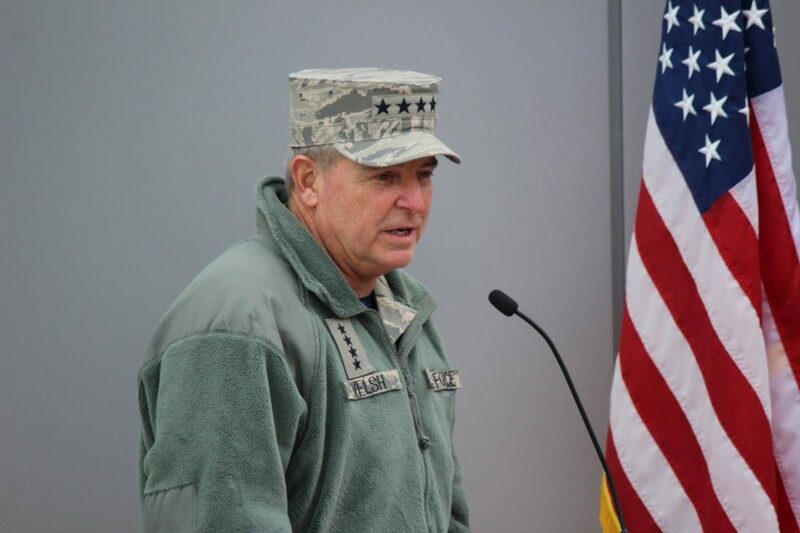 The inspirational keynote address was given by The USAF Chief of Staff, General Mark Welsh. 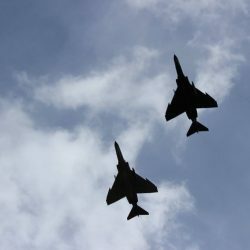 At the conclusion of the ceremony there were two low level fly overs, first a formation of new F-22 fighters followed by a four ship missing man formation of the last four flying F-4 Phantoms in the Military inventory. 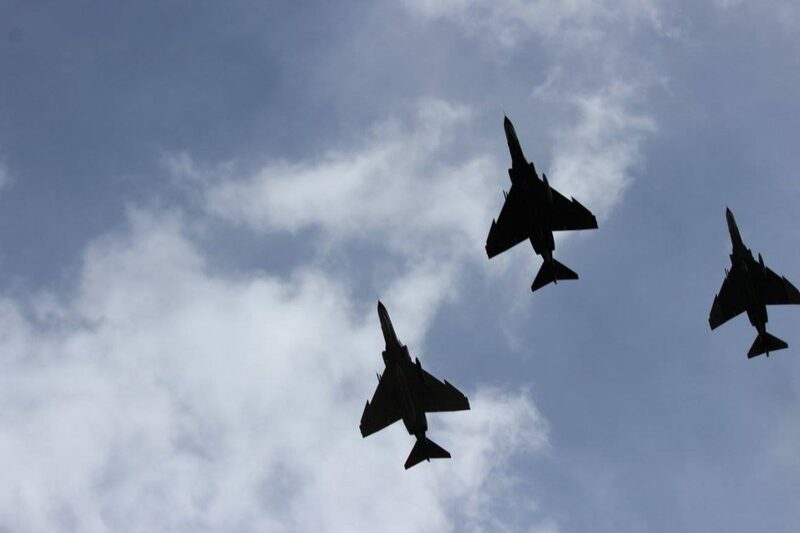 The aircraft had been used as target drones and were re fitted just for this ceremony. 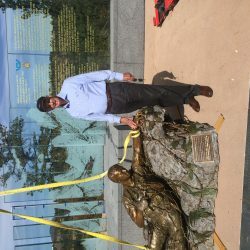 For the Vietnam Veterans present it was a nostalgic and emotional sight. 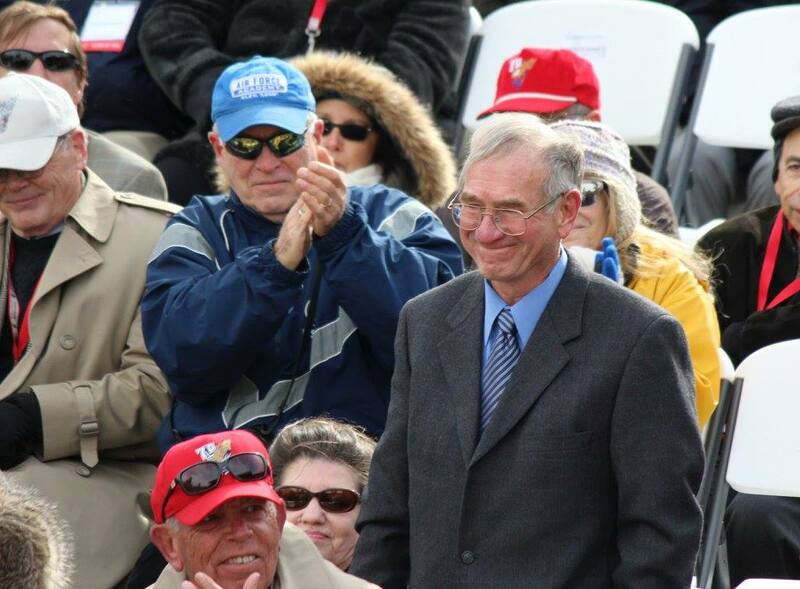 As the only USAFA graduate to receive the Medal of Honor, Lance Sijan holds a special place of respect for all Air Force members and Cadets. The Plaza of Heroes has become a favorite location for meetings and ceremonies and all new cadets must tour it in during their first summer. 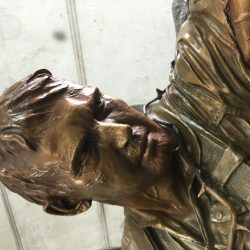 It is an inspirational and sobering memorial and graphically reminds all the cadets of the serious business of warfare and service to country. Thanks to the class of, Lance’s heroism will never be forgotten and will continue to inspire future generations. 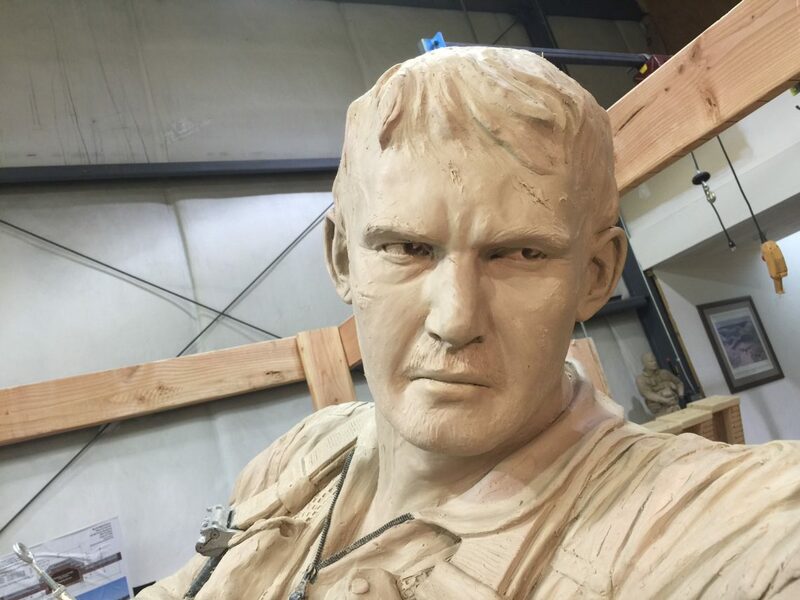 Close up face detail of Lance Sijan, USAF Academy Lance Sijan Medal of Honor Memorial by Sculptor James Nance. 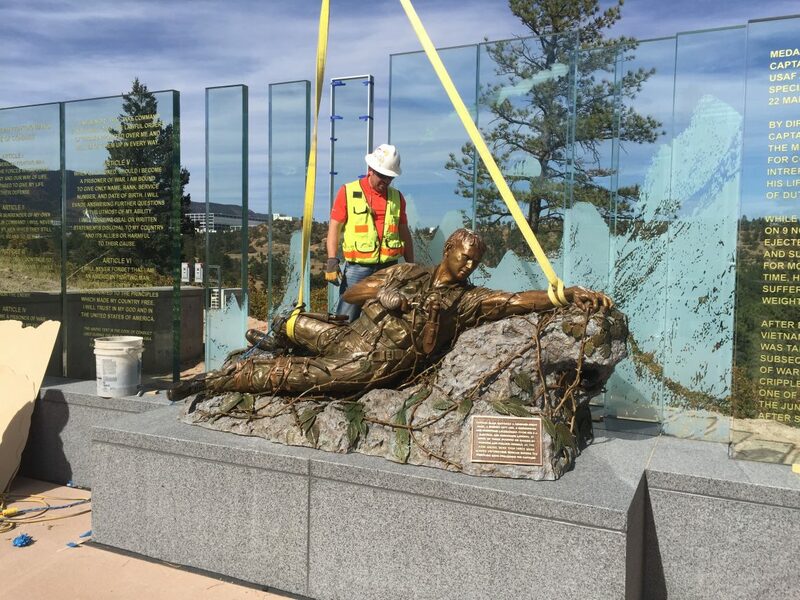 Glass crew installing glass panels with 60 ton crane, USAF Academy Lance Sijan Medal of Honor Memorial by Sculptor James Nance. 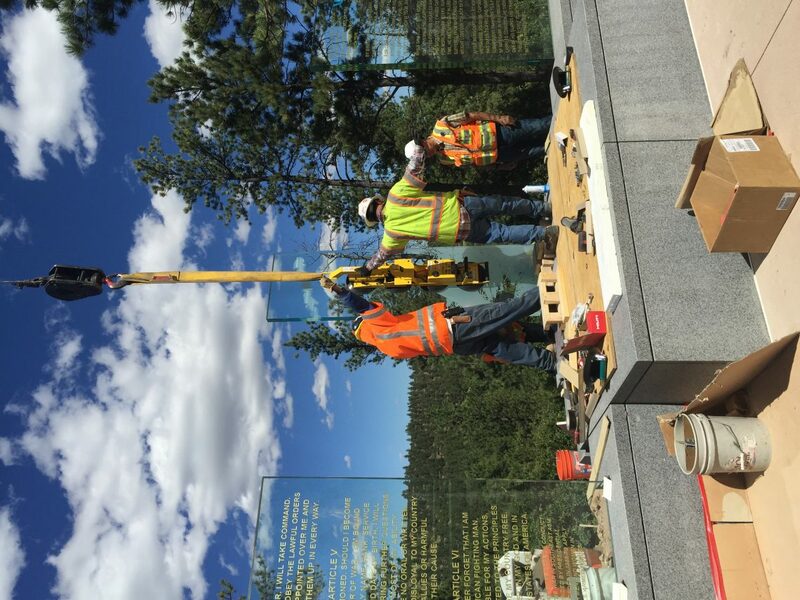 Glass crew mounting glass panel into stainless steel bracket, USAF Academy Lance Sijan Medal of Honor Memorial by Sculptor James Nance. 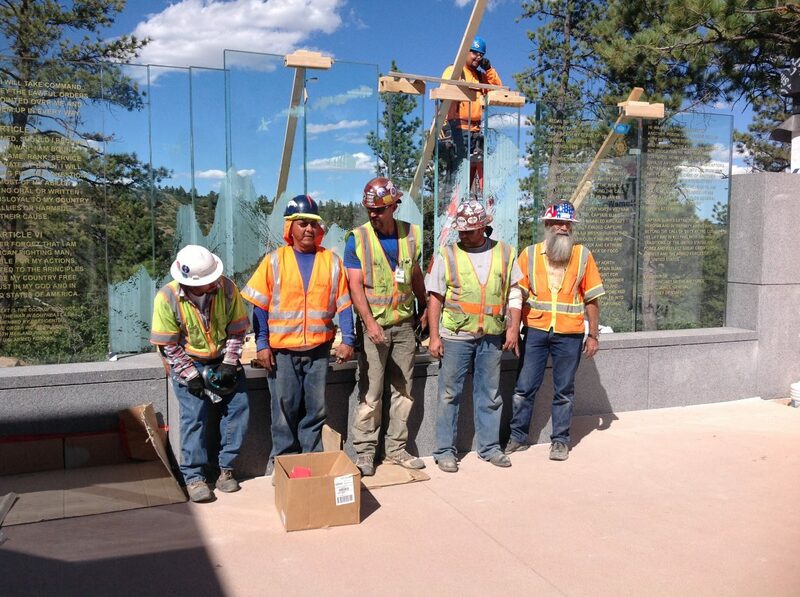 Glass crew posing with complete glass wall installed, USAF Academy Lance Sijan Medal of Honor Memorial by Sculptor James Nance. 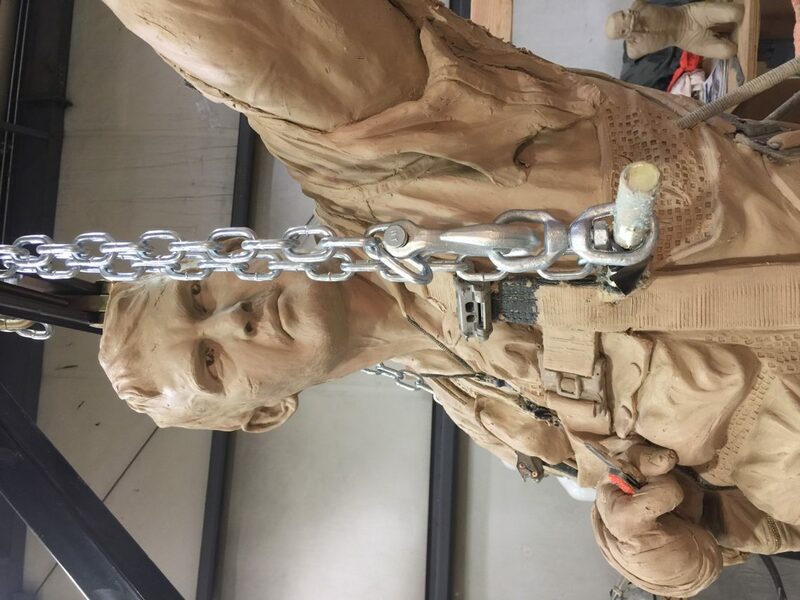 Lance Sijans’s classmate, General Howell Estes, director of the project from class of 1965, Preparing to hoist bronze into place , USAF Academy Lance Sijan Medal of Honor Memorial by Sculptor James Nance. 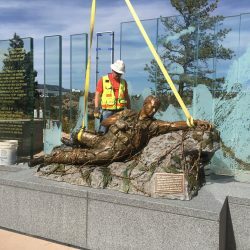 Crew installing bronze, USAF Academy Lance Sijan Medal of Honor Memorial by Sculptor James Nance. 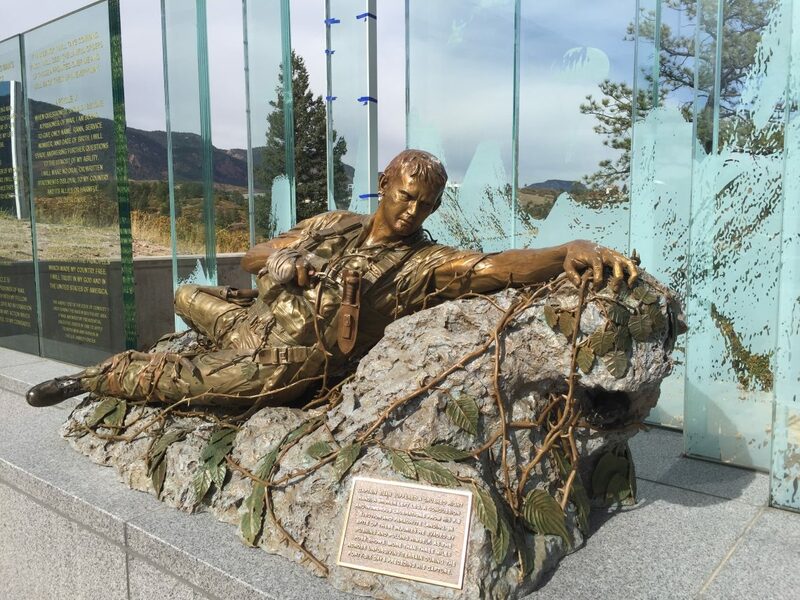 Side view of installed sculpture, USAF Academy Lance Sijan Medal of Honor Memorial by Sculptor James Nance. 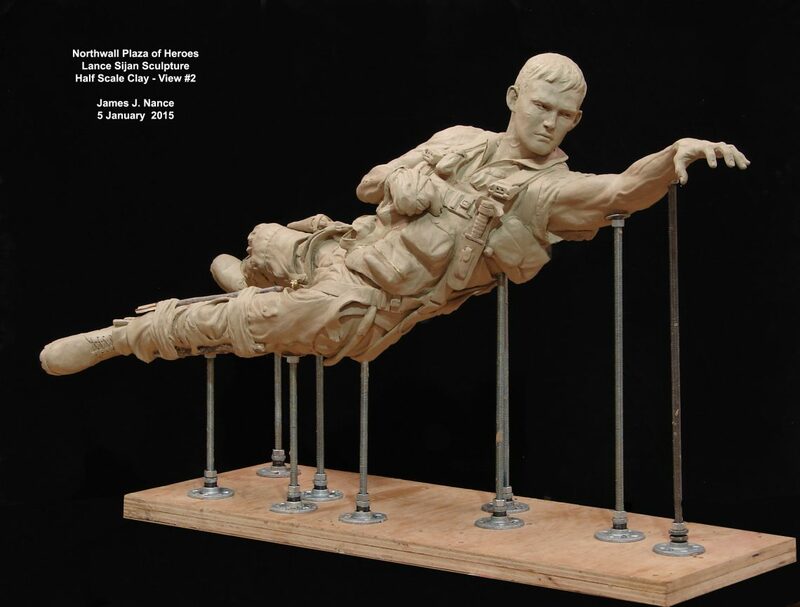 Front view of installed sculpture, USAF Academy Lance Sijan Medal of Honor Memorial by Sculptor James Nance. 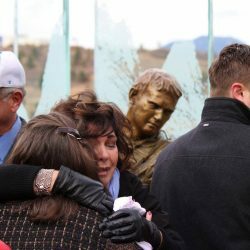 Wall with Valor medal recipients in Plaza of Heroes, USAF Academy Lance Sijan Medal of Honor Memorial by Sculptor James Nance. 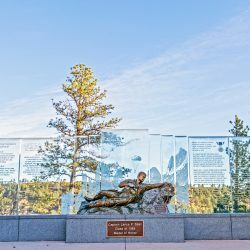 Fly over missing an formation by last 4 F-4s in AF inventory, USAF Academy Lance Sijan Medal of Honor Memorial by Sculptor James Nance. 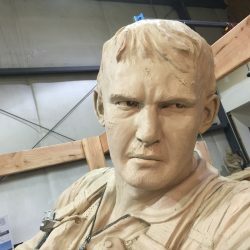 Dedication address delivered by General Mark Welsh AF Chief of Staff, USAF Academy Lance Sijan Medal of Honor Memorial by Sculptor James Nance. 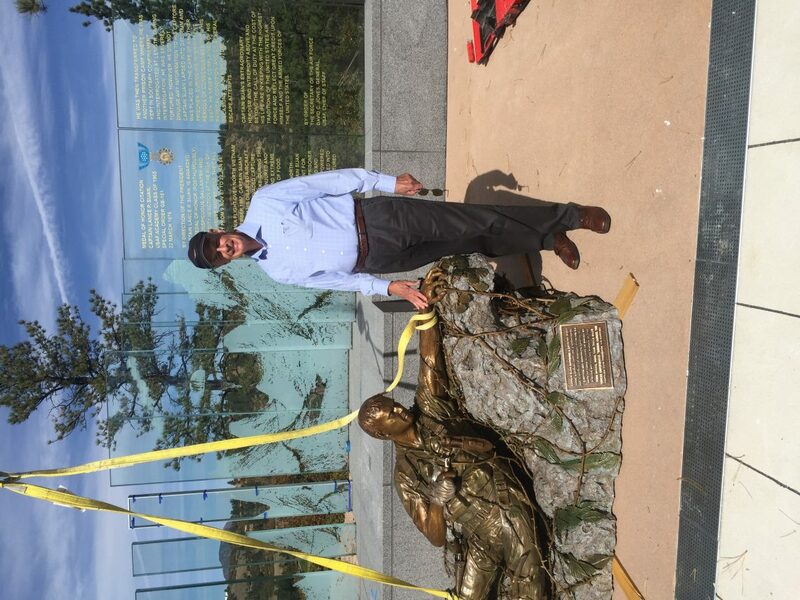 Sculptor Jim Nance being introduced, USAF Academy Lance Sijan Medal of Honor Memorial by Sculptor James Nance. 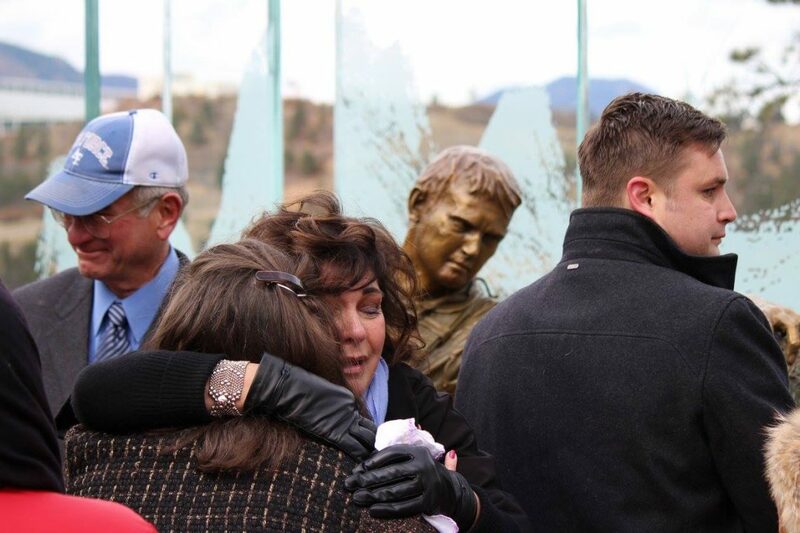 Jim and Jeanne Nance with family after ceremon, USAF Academy Lance Sijan Medal of Honor Memorial by Sculptor James Nance. 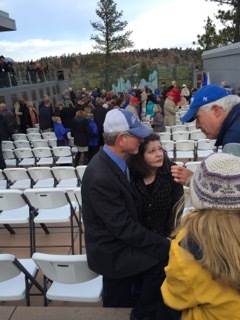 Crowd after ceremony inspecting the memorial, USAF Academy Lance Sijan Medal of Honor Memorial by Sculptor James Nance. 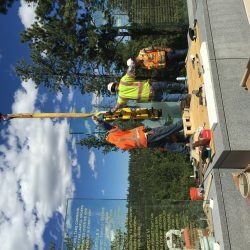 Long View of entire North wall project, statue and glass, USAF Academy Lance Sijan Medal of Honor Memorial by Sculptor James Nance.